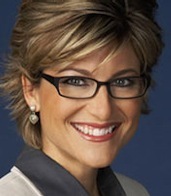 Question: Whatever happened to Ashleigh Banfield? Is she still with MSNBC? She was so high-profile there and then it seems she was unceremoniously dumped. I always thought she was great. Answer: Banfield joined Court TV in July 2005 and is still co-anchoring the weekday Banfield and Ford trial coverage show from noon to 2 p.m. central. Lately, she's also hosting the network's Hollywood Heat, billed as a "crime and justice entertainment news series." It airs on Thursdays at 10:30 p.m. central. Banfield, who turns 40 this year, anchored at Fox4 in Dallas from 1995 to 2000 before joining MSNBC. Question: What shows on TV do you eagerly anticipate the next episodes of? I'm afraid to share mine, because it seems as though every time I tell someone about a show I love, it gets canceled. Examples: Joan of Arcadia and American Dreams. Answer: In no particular order, here we go: Friday Night Lights, 24, The Office, Lost, Real Time with Bill Maher, The Sopranos, Entourage, American Idol and -- sorry -- Dancing with the Stars. Question: Can you tell me what happened to one of my new favorite shows, The Knights of Prosperity? I thought it was funny, and the celeb cameos were great, too! Answer: Knights failed to live long and prosper, with ABC canceling it earlier this month. The alphabet network has been pretty quick with the hook this season, dropping the Donny Osmond-hosted Great American Dream Vote this week after two episodes registered nightmarishly low ratings. Earlier this year, William Shatner's Show Me the Money took the gas within two weeks of its premiere. Sorry for letting another backlog build up. From now on I'll strive to answer questions at least once a week. Here's another batch. Question: Never have I seen an anchor so uptight and uncomfortable as Natalie Solis while she fills in for Megan Henderson temporarily on Fox4's Good Day!! Why in the heck didn't they use the perky, talented Maria Sotolongo? Or better yet, they could have placed Natalie in Heather Hays' more serious evening news slot while she is on maternity leave. Didn't anyone want to work with Mr. "fun fun" Tim Ryan? Answer: Solis is gradually settling in, and the ratings haven't been hurt by her presence. In fact, Good Day has been No. 1 from 6 to 9 a.m. on the first two mornings of this week after hitting a deep slump during the February sweeps. This doesn't mean that Solis is bringing in viewers, but she doesn't seem to be turning them away either. As for Mr. "Fun, Fun," he may have a dark side. But I've yet to see it. Question: Just wondering how the ratings are going for TXA21 news? Do you think this newscast will continue and last? Answer: TXA21's live coverage of last Friday's police officer shootout and standoff gave it a big boost in the ratings. Otherwise it's growing ever so slowly, with just a 1.0 Nielsen rating needed to turn a profit, according to CBS11/TXA21 president and general manager Steve Mauldin. It hits that number on most nights and usually exceeds it. So the commitment looks as though it's going to be longterm. Question: What do you think of weather coverage in the D-FW market? Does anyone really stand out? Isn't weather where the ratings are?" Answer: Weather definitely is where the ratings are during those periodic, mostly overblown "Arctic Blasts." Stations sometimes double their audiences, especially if a patch of ice or two creates a commuting "nightmare." As for who stands out, I've got to say that Belo8's Pete Delkus is starting to grow on me, and no longer like a wart. NBC5's David Finfrock is still the dean, but the newscast around him often is an affront to his cold fronts. The guy could use a better environment. Question: With the terrible exception of The Simple Life, has any other TV show that had a cult following (Arrested Development for example) ever go to another network and find success? It seems to me they have not. Answer: Well, The Surreal Life has found new life on VH1 after originating on the now defunct WB network. Also, JAG began on NBC, which dropped it after one season because the audience was deemed to be too old. It then became a longrunning hit on CBS. Back in cable's infancy, The Paper Chase found some success on Showtime after CBS shredded it. But for the most part you're right. Shows that don't work on one network seldom work any better on another. Question: When will Jericho be put out on DVD? I taped it from the get-go, but never watched it due to forgetfulness. Answer: I doubt that Jericho will survive beyond this its first season, so the DVD release likely will happen sometime this summer. Meanwhile, you should be able to watch any or all of this season's episodes by going here. Question: Where is longtime WFAA reporter Valeri Williams today? Is she still reporting? Answer: As far as I can determine, she is not reporting full-time right now for any TV station or network. Here's the official corporate response from Dave Muscari, vice president of product development for Belo8 and The Dallas Morning News: "Valeri Williams initially came to work for us as a reporter in 1992. After a stint with ABC News as a correspondent based in Atlanta, she returned to WFAA in 1999. She worked with us in our 'News 8 Investigates' unit through January 2003. We wish her well." Question: My husband has an inexplicable habit of watching Ch. 4's Good Day morning show, so I see it way more often than I really care to. Last Friday (March 2), something that sounded very much like an apology aired. It was something to do with the Good Day program, and Channel 4 was very, very sorry about it. That's all I caught once I started paying attention. Of course the announcement was not repeated, and there is nothing about it on the website. Can you clarify the mystery? Answer: Sources very much in the know say it had to do with the American Idol-like contest to find the best singer of the Good Day jingle. Except that one of the contestants manipulated the online voting and Fox4 noticed a big chunk of votes going that contestant's way. So the station apologized in very general terms and ended the contest. Or as Neil Diamond might put it, "Song sung blue, everybody knows one." Question: I'm looking for information on Showtime's Sleeper Cell. I'm a big fan of Season 1 and I'm watching Season 2. Is there going to be a Season 3? Answer: Sorry, but there won't be, at least not on Showtime. The network has decided not to continue with the series. One of its stars, Michael Ealy, already is making a fall season pilot for ABC. Question: On the segments when they trap sexual predators on Dateline, do they have to receive written permission to use the video images of these guys on the air? If so, why in the world would anyone who's been caught in such an embarrassing situation allow this footage to see the light of day? Answer: Unlike Fox's Cops, which sometimes blurs faces, Dateline is considered to be a news program. So releases aren't required. People oftentimes will cover their faces when TV news cameras are on the prowl, but the pukes who are exposed on Dateline initially have no idea they're on TV. It's somewhat similar to the "ambush" interviews that used to be a regular feature on 60 Minutes. Many of these people didn't want to be on camera, but if the program's cameras caught them, then too bad. There's also no privacy for the likes of Britney Spears and Lindsay Lohan, who are pursued nearly everywhere they go. On entertainment shows such as Cops, release forms must be signed. It can be a fine line, but there's almost no end to what people will do to be on TV. Question: What happened to the series Thief on FX? Answer: The network decided against continuing the Andre Braugher series after an initial six-episode order. Low ratings were the reason. Question: What's going on with MI-5? First A&E put it an obscure time slot without advertising it. Next the network pulled it from the late Friday night slot and ran the remaining eight episodes on a Saturday, again without advertising. Is there any chance of BBC America running this amazing series? Answer: A&E, which once stood for classy, high-brow programming, has downshifted to reality series such as Dog the Bounty Hunter, Growing Up Gotti and Criss Angel: Mindfreak in recent years. MI-5 apparently was too rich for its blood, and A&E has no plans to continue importing the BBC production, called Spooks across the pond. BBC America would be a great fit, but the network hasn't made any commitment yet. Question: What happened to Big Day and The Nine? Answer: Big Day, which was supposed to have a 13-episode run leading to the February return of Lost, instead was cut in half, with the rest of the episodes running on ABC.com. The Nine is out of production, and ABC has no current plans to resume the series. Even if it did, there'd be no overall resolution, entertainment president Stephen McPherson told TV critics at the January "press tour." Question: I heard Studio 60 might be canceled. I love this show. Anything I can do to save it? Answer: Probably not. Studio 60 gave way to NBC's The Black Donnellys on Feb. 26. That show isn't doing gangbusters in the ratings either, but Studio 60's veritable all-star cast makes it a very expensive show to produce in light of its diminishing audiences. So it very much looks like exit stage left after this season, although some remaining unseen episodes might be burned off in the spring. Question: I'm sure you've talked to numerous television news anchors and reporters in D-FW over the years. Did you get the feeling they feel they are "superior" and/or more knowledgeable than the unclean masses? Or do they just come across that way? Answer: Some definitely are more thin-skinned and pompous than others. By and large, though, I've found them to be pretty genuine people off-camera. Anchors are more prone to "Ted Baxter syndrome" because of the enormous amount of time they spend on-camera. But many viewers put them on pedestals, too, fueling their egos at public appearances. That said, you won't find a more down-to-earth anchor than Belo8's John McCaa. CBS11's Karen Borta likewise seems to be a genuinely nice person. And Belo8's Dale Hansen, for all of his on-air bombast, would give you the shirt off his back if you asked for it. Not that you'd want it when he's going Hawaiian.